Sunday isn't just notable for the 87th Academy Awards—it's also National Margarita Day! Sunday isn't just notable for the 87th Academy Awards—it's also National Margarita Day! From savory to fruity, here are seven terrific margaritas to make to celebrate both occasions. 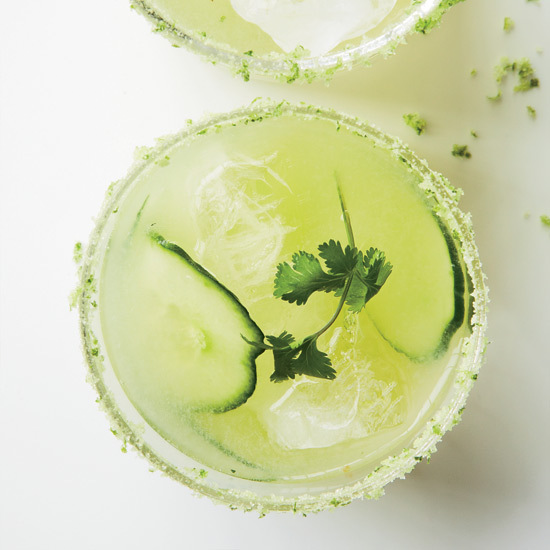 Savory ingredients like jalapeño, cilantro and cucumber star in this spicy drink. Bloody Marys meet margaritas in this sweet-and-savory hybrid cocktail. Chef José Andrés's fantastic version features a salty foam topping. Pomegranate juice gives this drink its tart flavor and rich color. A spicy Salvadoran chile mix was the inspiration for this delicious cocktail. This refreshing, fruity margarita is made with muddled blueberries and orange bitters. Upgrade the classic margarita with muddled brandied cherries and a cocoa sugar-lined rim.